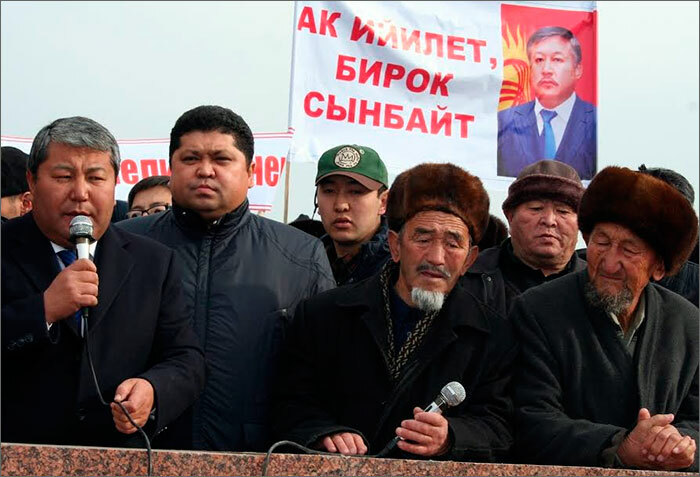 On 4 Dec 2013, the former mayor of the Kyrgyz capital, Isa Omurkulov, “voluntarily resigned” from his post; his counterpart in Osh was dismissed from post the very next day. 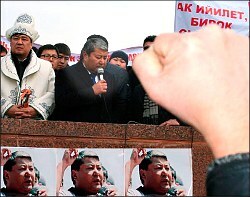 The two events stirred a lot of emotions in the two largest Kyrgyz cities. Elections for the vacant positions are scheduled for January 2014. The issue of just who will preside in the Osh city hall is not only a pressing one for Osh resident, but it is also a sensitive one for the central authorities in this mountainous country. Obviously, Bishkek wants to have “a reliable handyman” in Osh, not a rebel—an unconditionally complying official, in short. However, one could perhaps be sure that opposition-minded Melisbek Myrzakmatov will recapture his former chair and will be a new, yet old head of the city. Prime Minister Jantoro Satybaldiyev dismissed Mr. Myrzakmatov, who was mayor since 2009, for his critical remarks on the current authorities at a rally in support of the arrested MP Akhmatbek Keldibekov. (MP Keldibekov is charged with corruption.) That said, Mr. Myrzakmatov not only failed to prevent protestors from attempting to storm a state building, but he also demanded police stay out of the crowd’s way. 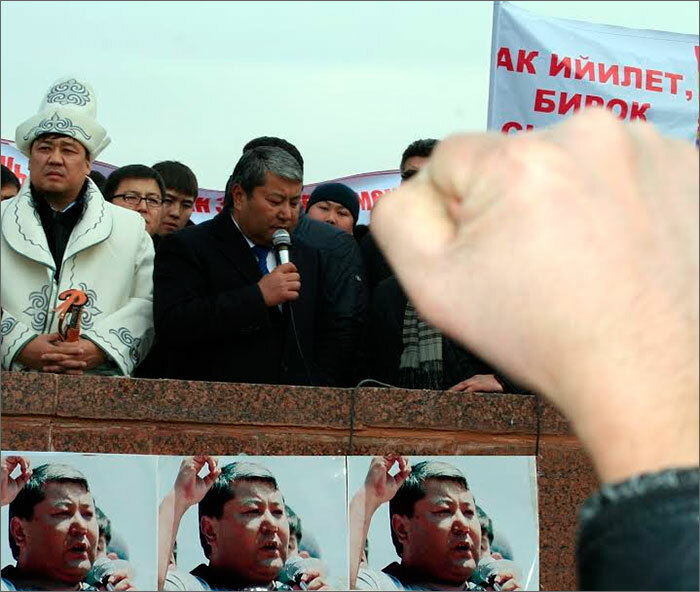 Mr. Myrzakmatov reminded police officers that protestors in Kyrgyz west savagely beat Moldomusa Kongantiyev, the interior minister in Kurmanbek Bakiyev’s term in office, in 2010. The two ex-mayors’ deputies were appointed acting mayors. And on 12 Dec 2013, Kyrgyz President Almazbek Atambayev signed decrees on The Status of the Capital and The Status of Osh. The mayoral elections in the two cities must be scheduled within the first 10 days following the decree publication in official mass media. The two cities will then have new chief city officials, who will be elected by respective city councils. The timeline and status quo suggest these elections will be held in the second half of January 2014 at earliest. The premier and city councilmembers can propose their candidates. The Uluttar Birimdigi Party, whose chief is Melisbek Myrzakmatov, dominates the Osh city council with 22 seats out of 45; a member in the Zamandash faction threw his support behind the ex-mayor. 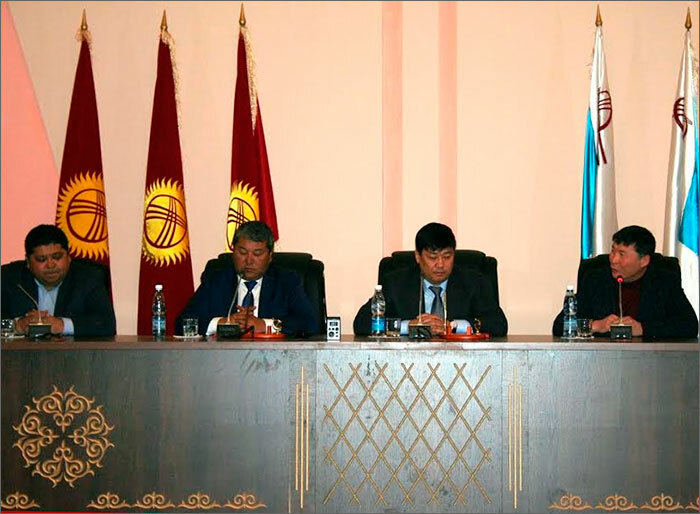 The remaining 22 councilmembers represent the Social Democratic Party of Kyrgyzstan (SDPK), Respublika, Ata-Meken, and Adilettuu Kyrgyzstan parties. The political life in Osh is in suspension these days. The Election Day is not very far, and normally various kinds of candidates emerge. They and their supporters then clash in heated debates and intensive negotiations. 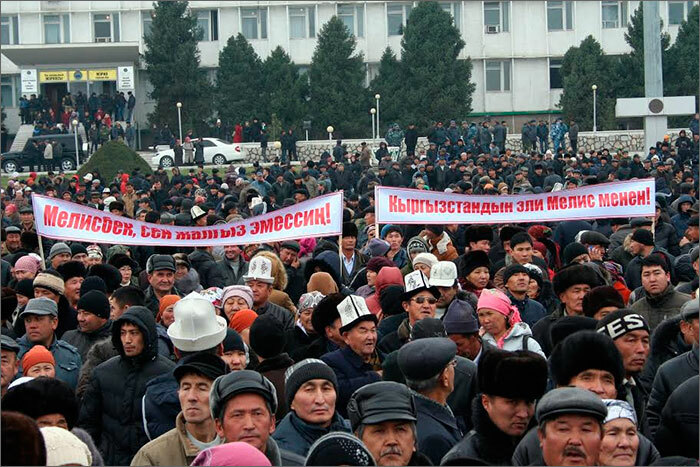 In the southern capital of Kyrgyzstan, no “unpredictable strife” is yet observed. The sense in the air is that everyone is aware of who the next mayor will be. Apparently, Mr. Myrzakmatov’s 7 December speech before his supporters contributed to such a conclusion. In his speeches, the ex-mayor hinted at the central authorities, saying he was capable of “mobilizing” people in case he loses the mayoral elections. 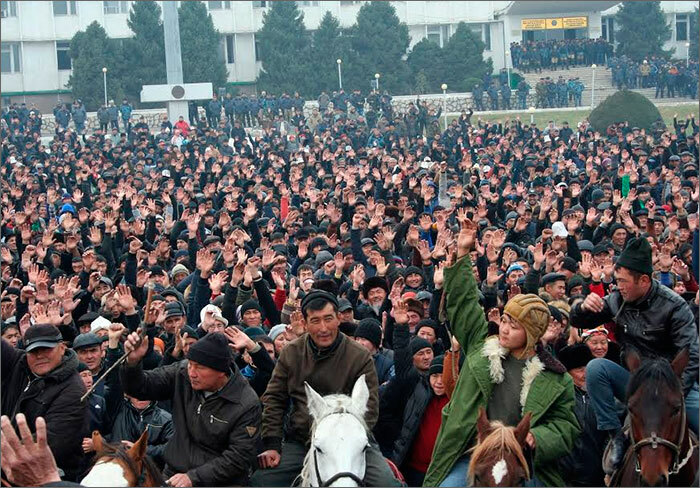 To be sure, nobody doubts that: in Kyrgyzstan, it has become a norm that a losing party always mobilizes supporters for protest rallies. The authorities normally use local law enforcement officers to maintain order during peaceful protest demonstrations and rallies. 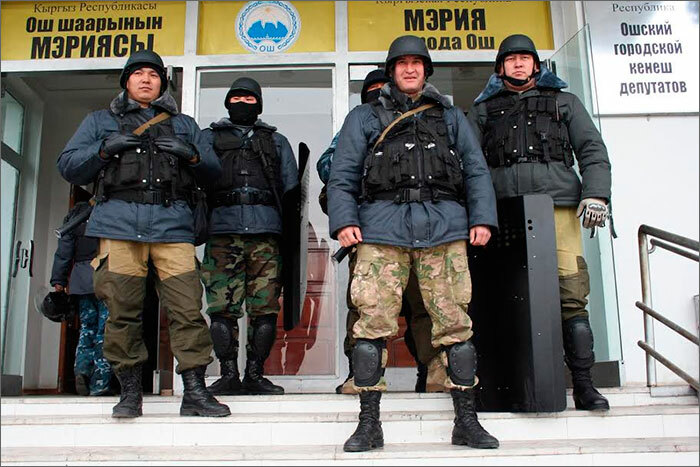 However, if rallies are bigger than usual, or can potentially grow into uncontrollable disorder, a squad of spec-ops from Bishkek can be deployed. During one of pro-Myrzakmatov rallies, their services were required. To be noted, immediately after the mayor was dismissed, numerous cars with tinted window glasses and no license plates started roaming around in Osh. Rumor has it that they are Myrzakmatov’s men, who are in Osh to instill fear among the population ahead of the elections. As far as challengers are concerned, nobody has expressed desire to be one. Unverified information is circulating among the local population that Aytmamat Kadyrbekov, a deputy director of Osh and Jalalabad restoration committee, Suyun Omurzakov, chief of city police, Deputy Premier Aaly Karashev and Ulan Primov, a Respublika party nominee, could join the race. What will the central authorities do? Maybe they will try to prevent Myrzakmatov from participating? They will try to dig out mistakes in his five-year term in office and launch a criminal investigation for eventually holding him criminally liable? Such an outcome would certainly be an obstacle in a race for the mayor’s seat: according to the Kyrgyz legislation, one cannot nominate oneself or be nominated as a mayoral candidate in case a criminal investigation is launched and is underway against him. At the end of the day, Myrzakmatov could avoid sentencing and conviction; however, this major opponent would not be able to participate in the elections. That would pave way for central authorities to put someone “of their own” in the Osh mayor’s chair. However, Bishkek realizes that Myrzakmatov will not go down without a fight. This, in turn, means troublesome days are brewing over southern Kyrgyzstan.